Online job listings are a great way for recruiters to target 'active' job seekers, i.e. health professionals that are actively searching for a job. 2) We care about the results you get. Give us the opportunity to work with you to effectively reach that ideal candidate. 3) We endeavour to deliver the highest quality applications. With geo-filtering, visa status checking and pre-qualification questions, we deploy technology to minimise the number of low quality applications you receive. - Job listings on the HealthTimes website receive over 8 applications per job listing on average, and are promoted through the HealthTimes job search and related job listings on our article pages. - There are a range of additional options to promote your job more widely including hot job promotions in our E-Zeen publications, featured jobs which places a mini banner ad on the HealthTimes home page, and through our social media networks. Course listings are an excellent, and inexpensive way for course providers to promote their courses to individuals that are searching for education and training opportunities. Course listings can be purchased on a tenancy basis, i.e. pay per listing or discounted rates are available for multiple course listings; or we also offer referral based advertising arrangements in which case we charge course providers on a 'per enquiry' basis. HealthTimes can generally assist advertiser to post their courses, and we can assist you with promotion of your courses through our print and digital publications as required. For more information about listing your courses with HealthTimes, please call 1300 306 582 or email contact@healthtimes.com.au. Web banners are a great way for advertisers to drive brand awareness for their products or services. And as HealthTimes is the largest health industry website in Australia, receiving over 120,000 sessions per month, there's no better platform through which to promote your brand to health professionals. Note that as HealthTimes is device responsive (i.e. the web pages change to suit the device the user is using, e.g. mobile phone, table or PC) if you purchase for example a leaderboard placement we will also ask you to provide a banner and MREC size artwork so that your ad will be seen regardless of what device is being used. 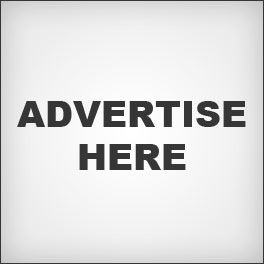 Web banners can be purchased on a sponsorship basis (i.e. pay for your banner to appear on a specific page) or a CPM (cost per thousand impressions) basis site wide. If you have any questions about banner advertising, the options available and pricing, please call 1300 306 582. HealthTimes has a digital subscriber base of over 45,000, and we offer a range of email marketing options for our advertisers. We publish a fortnightly email newsletter (E-Zeen) which includes hot job promotions, banner ads and advertorial articles. 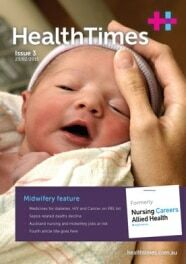 The HealthTimes magazine is published monthly in print and digital format to a subscriber base of over 50,000 nurses, midwives and allied health professionals nationwide. We offer a highly cost-effective print advertising platform for advertisers wanting to target health professionals. All print advertisements in the HealthTimes magazine include a digital promotion at no additional cost. For example, a job ad placed in the HealthTimes magazine includes an online job listing for the same position on the HealthTimes.com.au website. For publication dates and pricing, please download our magazine media kit, or call us on 1300 306 582 to discuss your advertising options.